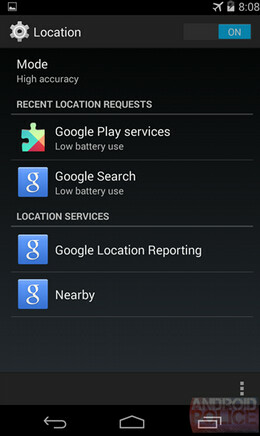 Rumored Android version of iBeacon to be called "Nearby"
As many of you know, Apple's iBeacon is a system that allows targeted messages to be sent to iDevices based on the location of the device's user. For example, someone in a supermarket looking at the frozen food section, could receive a coupon for Swanson's frozen turkey dinner delivered over his iPhone. At the same time, another shopper in the soup aisle might be receiving a coupon for Campbell's Chicken Noodle soup. The low power Bluetooth LE helps make this a reality. 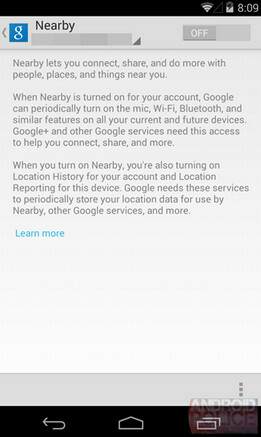 According to leaked information, Android devices are expected to be able to receive targeted messages with Google's version of the technology, called Nearby. According to a source, this will be made available after a Google Play Services update. According to a leaked screenshot, Nearby will allow users to interact with people, places and things that are nearby. The service will allow you to decide whose devices can "see" your presence. Like iBeacon, Android handsets with the feature on could receive targeted ads and location-based reminders (when you see Jim, remind him about the Thompson account). While we have no idea when this might be rolled out, you can take a look at actual screenshots from the feature, in the slideshow below. 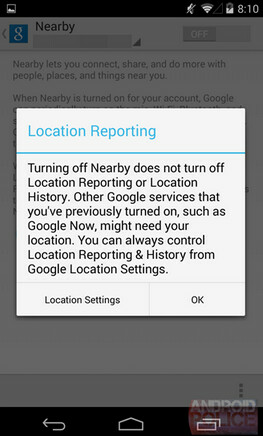 Another way for Google to get even more data on you. It is getting harder and harder for Google to deny that they, in fact, are the NSA. Basically the only way to privately call someone is for both parties to have secure end-to-end encryption. This means no SSL, but something like what BlackPhone uses, i.e. Phil Zimmerman's system. For even this to be trustable, it means running it on a non-compromised host. Which is hard to find. Of course, the NSA is still tracking who you call, even with this. Without a TOR-like service in the middle, it is still essentially point to point. I guess you've never studied history and don't understand the extremely poor quality of life that is part and parcel of living in a surveillance state. For starters, I might suggest reading the book "Three Felonies a Day" so you get a little taste of how easy it would be to lock you up in the US, today. Then read some books about life in East Germany living under the watch of the Stasi and their vast network of citizen informants. 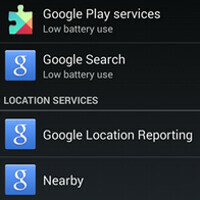 Where exactly do you see ads in the Android OS? They should call you masturbaiter, cus you take the bait every time. I had to...I thought it was pretty clever, I must say. More power to you. Not enough people give credit where it's due. Android Is completely ripped off ios. The horizontal page scrolling etc if apple takes some inspiration what's wrong with that? Forget all that. What you fan droids dont realize is that the end user benefits when companies copy each other. Which is why we have to recriminate. +1 on that. After end of the day, all that matters is user experience. Armando Ferreira (I guess many of you know him) explained it very well in his WWDC coverage. I recommend everybody to watch it. I am aware of the gospel Apple preach to their flock thru Apple insider. I reek of hate with articles that do personal attack on Android developers. I can sum it up with one word competition and Apple could not coup with that. For example, Ford has GM, Samsung has LG, iOS has Android. Over the course of history every company do not have to stool so low as to do personal attack on other company executives. Because to me they are just employee with a free will to pursuit their own idea and fortune. Look at what you guys are doing. You are an employee of some company too! How would you feel if your former company attack your character? Actually I use Both kitkat and ios 7 so I am technically neutral. That is, I love both. If sexuality is "choice of OS" then yes I am bisexual. If you see the screenshots, there is an on/off toggle. Arte, and PAU won't like this one bit. Sauce get ready. This similar features are already existed before iPhones, iOS.